RUSH: Nancy Pelosi has told Democrats that the new attorney general, William Barr, cannot be trusted. He was just confirmed as attorney general. 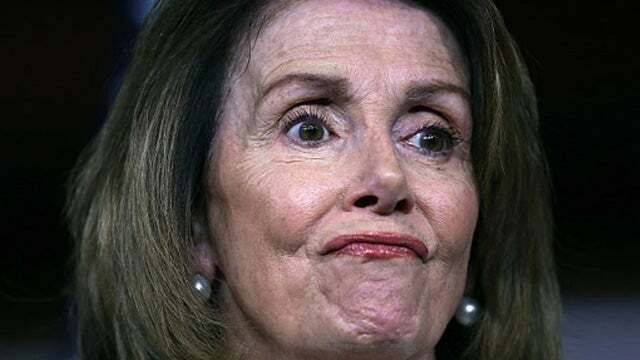 And here is the Speaker of the House, Nancy Pelosi, saying to her Democrat caucus that William Barr cannot be trusted and that the Democrats must see the entire Mueller report because they are convinced somehow that there’s going to be evidence of collusion in there, despite Mueller saying he couldn’t find any and despite Barr saying that he couldn’t find any after looking at the Mueller report. Now, federal laws and guidelines do not mandate that reports from independent counsels be released publicly. That’s a decision made by people involved. But to say that the attorney general cannot be trusted. This is an ongoing effort by the Democrat Party to continue to undermine the American people’s faith not only in the Trump administration, but in our government at large. After just spending two years supporting an effort that ripped this nation’s heart apart, the Democrats are continuing because, as I pointed out yesterday, they are a bunch of spoiled little children, and they just can’t accept losing. When they lose, they have to continue to throw temper tantrums and destroy as much as they can get their hands on, including the United States Constitution, the American system of justice, and the overall American system of government. It is under assault by these people, who continue to be rejected by facts, they continue to be rejected by the American people. And that is what has them so irritated. 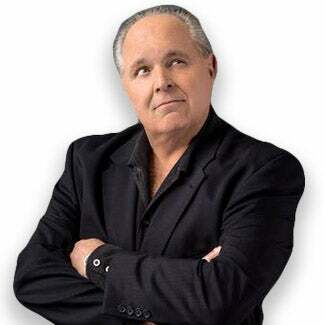 RUSH: This is despicable. This is destructive, and it’s typical of today’s leftists in the Democrat Party. Pelosi telling Democrats — and not just Democrats. She’s telling the American people — the attorney general, William Barr, can’t be trusted. My gosh how long ago they loved Mueller, and they loved Avenatti. Do you realize Avenatti can’t even find a lawyer to defend him now in these two cases? CNN, Little Brian Stelter actually spent something like — well, it was six months ago. CNN had a serious discussion of presidential prospects with Michael Avenatti. Little Brian Stelter did the interview. So not long ago, all of these characters — the FBI top leadership, Department of Justice, Clapper, Brennan, they were heroes. Everybody loved them. They were great. Now all of a sudden Mueller is hiding the truth? If Pelosi says to Democrats and the American people that we can’t trust the new attorney general, we need to see the full report, wouldn’t Mueller say something? But Mueller’s not doing that. Mueller is continuing to stay quiet because he must. The prosecutor, when there are no charges, prosecutors can’t speak. Well, if we follow guidelines. You know why? Because in America, you are not guilty until you are proven guilty. The presumption is innocence. So you have a two-year investigation of Trump. If they don’t find anything, they can’t announce, “We didn’t find anything, but we think he did it.” They can’t do that. You’re not allowed to impugn and defame a target who you have thus claimed we have no evidence against. So Mueller can’t say anything. But I’ll guarantee you this. 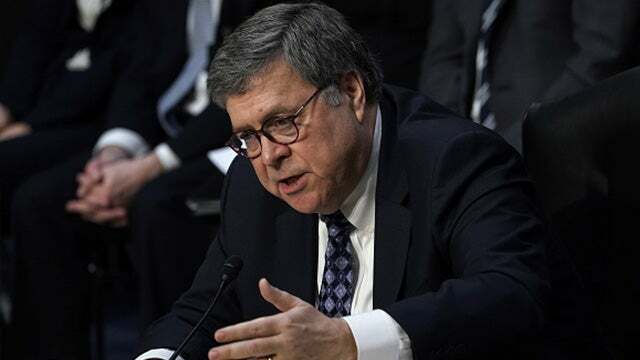 If William Barr were misrepresenting what Mueller wrote, I’ll guaran-damn-tee that you Mueller would be out correcting the record. But Mueller isn’t saying anything, is he? So I guess Barr is not misrepresenting what’s in the Mueller report. It seems to me that Pelosi and the other Democrats are questioning Robert Mueller’s integrity all of a sudden! He was a hero. He was the guy in whom they invested everything, and he didn’t give them what they wanted. So now, he’s nothing but dirt, and William Barr is nothing but dirt. Earlier today I was imagining being in the position of the Democrats and how in a matter of one day, their entire world has been turned upside down. Their pathway to win the presidency in 2020 involving impeaching Trump or continuing to impugn him and drive his numbers down, just blew up in their faces. Virtually every aspect of every plan that they had to emerge victorious on the day after the election in 2020 just blew up in their faces. And they are left with nothing but Alexandria Ocasio-Cortez and Ilhan Omar running the Jewish vote right out of the Democrat Party. What do they have? They’ve got people like Adam Schiff, who won’t wise up and go away and shut up. He wants to continue to be the face of the insanity of the Democrat Party. Ditto Pelosi. They can’t give it up. You know they’re gonna go further now. I predict that within a week, Trump’s approval numbers are gonna bump up two to four points. I think it’s gonna happen. When that happens, they’re gonna go even more bonkers. PELOSI: … an interpretation by attorney general — who was appointed for a particular job, to make sure the president is above the law. We need to see the report. So that’s my message, uh, to our members. RUSH: Right. We need to see the report. We can’t trust Barr! We can’t trust him, even though he was just confirmed as attorney general, and everybody knew what was gonna happen. Everybody knew that he was going to get the report because that’s the law. The special counsel turns his report over to the attorney general — or, if there is one, an acting attorney general if the office is vacant. Everybody knew this was gonna happen when Barr was confirmed. Now, I know the House didn’t vote on his confirmation. That’s Pelosi’s out on this. But this is despicable! It is becoming apparent the Democrat Party cannot succeed, they cannot move forward without attempting to ruin their political opponents. I cannot tell you how it ticks me off, and it is why there needs to be an investigation into what the hell happened and who actually started it and how far back and how high up in the Obama administration this thing goes, because that’s where it began. That’s who directed it; that’s who permitted it. That may be who designed it, certainly at the least signed off on it. All of this started in 2015, 2016, when Barack Hussein O ran the counterintelligence apparatus of this country, ran the Department of Justice, as the leader of — the president — the executive branch. All these people in the FBI from Comey on down are acolytes of Barack Hussein O, and it’s not enough for this investigation to come up with a zero. We need to find out how this started and when. Even though we know, we need an official investigation of this. Wall Street Journal: Mueller Exposes Spy Chiefs. Did Our Intel Leaders Have Any Evidence When They Pushed the Russia Collusion Line?